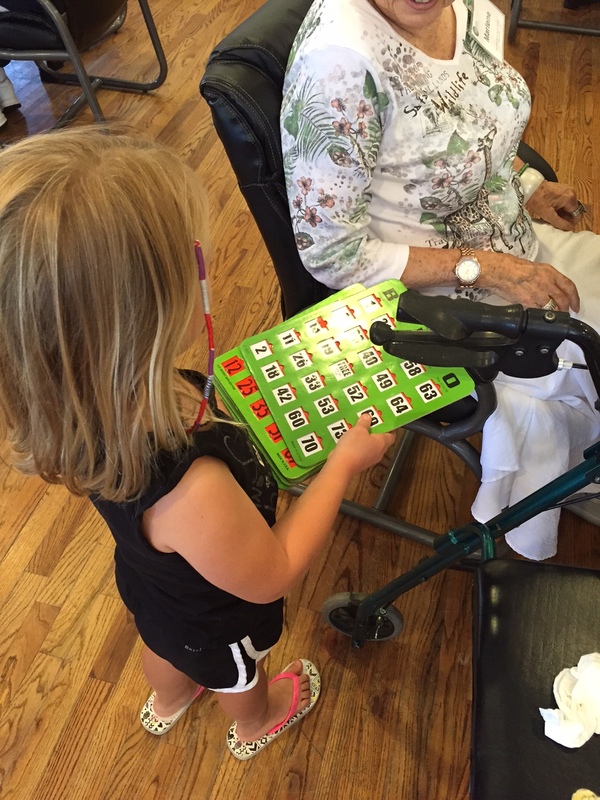 We facilitate a bingo game for all members complete with prizes. Some months the game has a theme and you can be sure that on any given Tuesday the favorite prize is Sugar Free candy! In November the Seniors have their portraits made! One of the most rewarding activities we provide is a formal portrait session for each Senior. 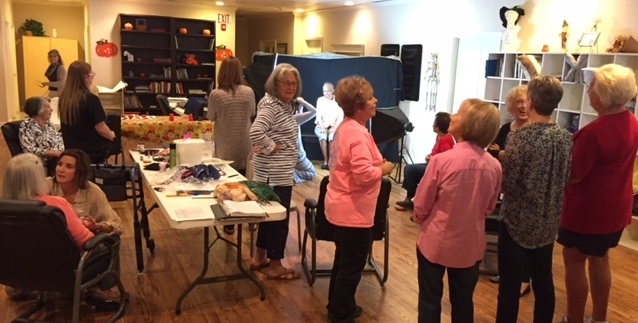 Assistance League members primp and lovingly pose each Senior. With the help of a local photographer who has donated her time, we give a framed portrait to each family as a Christmas gift. We have heard from many families that this is sometimes the last formal portrait they have of their loved one. Just last year we were able to capture a couple who were about to celebrate their 60th wedding anniversary. Thank you Kalee Ridings Photography and those ladies who took time to make this a special day for the Seniors! Seniors R&R is about more than bingo and photos. It’s about bringing dignity and gratefulness to a community of elders and gaining wisdom from their life experience.